Sisley Phyto Blush Eclat in Pinky Berry (A$90/7g) is part of the new Belle de Shanghai A/W'13 Colour Collection which launches in Australia on the 11th of March 2013. This new blush is embossed with a chic zebra pattern which is in sync with the design of the compact. The large in-built mirror allows me to view my full face profile and the brush is dense and soft, both are put into good use, unlike most compacts where the mirror is too small and/or the blusher brush is too harsh against the skin. Phyto Blush Eclat comes in a signature Sisley black velvet pouch, so you can safely carry the compact in your handbag or cosmetic bag when you're out and about. The active ingredients of Phyto Blush Eclat aims to benefit the nature and texture of skin: Rosehip (tones), Gardenia (softens and moisturises), Gingko Biloba (fights free radicals), Corn (nourishes and hydrates), Woodmallow (moisturises and softens) and Linden (softens and soothes). The zebra print of the Phyto Blush Eclat in Pinky Berry is made from two shades of pink: a soft highlighter pink for a fashionable glow and a deeper berry pink blusher for contouring the cheekbones. It's worth noting that the previous version of Phyto Blush Eclat contained the highlighter and blush which were separated in the compact, however the newer version has both shades interlaced in stripes which makes it a little difficult to apply the two shades individually. Despite this, it is still possible to use the shades separately. Though in my opinion, the best look comes from swiping the brush over both shades. 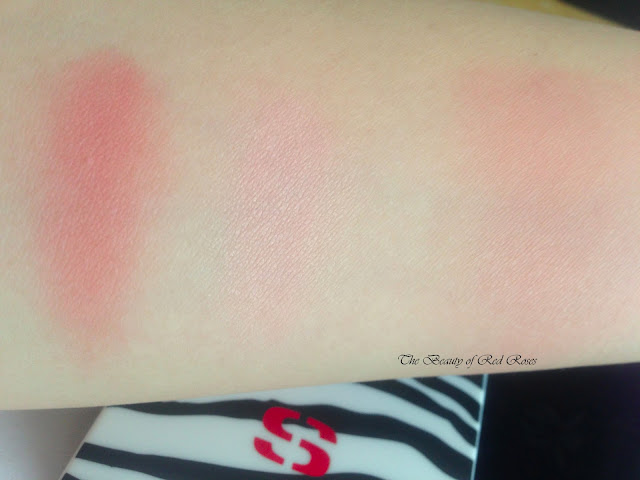 Pinky Berry appears lighter on the skin than what you see in the compact. The blush goes on sheer, but it is buildable. The powder of Phyto Blush Eclat is quite solid in the compact and also finely milled, which is probably the reason why it applies on sheer upon the first application. Pinky Berry appears very natural and it also provides a beautiful luminous yet subtle glow to the cheeks with a hint of a soft flush. My complexion looks a lot brighter and fresh with a healthy glow. 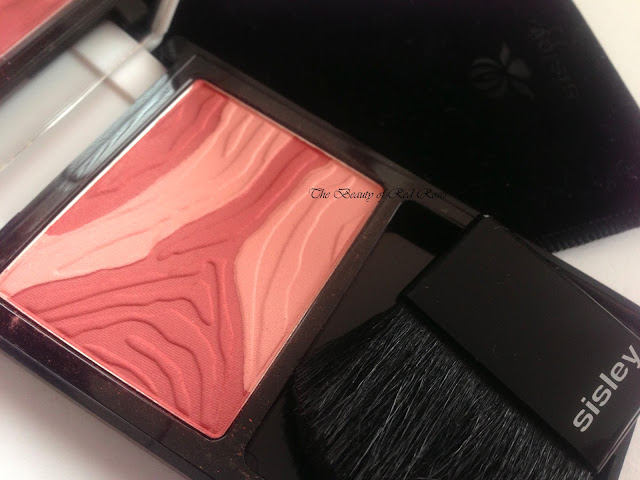 Sisley Phyto Blush Eclat is quite exy, though the quality and benefits that this blush offers is what makes this high end blusher one of my current favourites. The shade Pinky Berry is suitable for light to medium skin tones and it really is a gorgeous shade for everyday wear. Sisley Phyto Blush Eclat will be available from 11th March 2013 at David Jones department stores nationally. There are five Phyto Blush Eclat shades available: Peach, Pinky Berry, Mango, Pinky Rose and Pinky Coral. 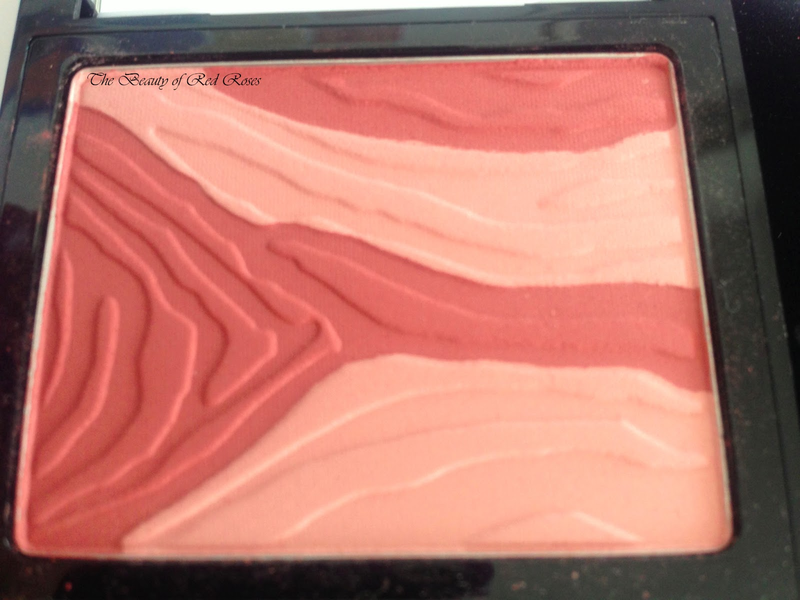 Have you tried Sisley Phyto Blush Eclat before? Product was provided for consideration only. This review is 100% based on my own thoughts and opinions. 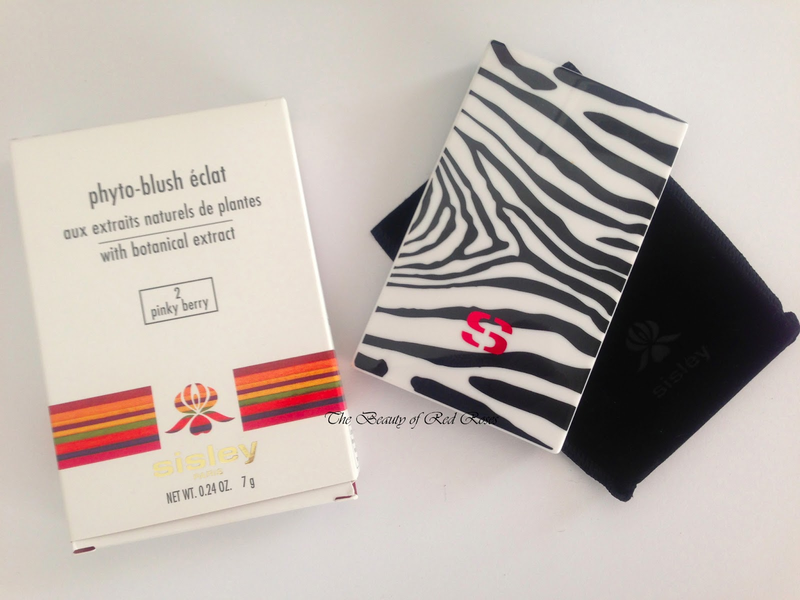 I am not affiliated with Sisley and did not receive remuneration to post this product review. I have a passion for beauty and anything to do with beauty! I've created this blog to share my knowledge and opinions on makeup, skincare, hair care and body care products. Violet Box to Launch in Australia! Priceline Gift With Purchase: Beauty Box! Urban Decay Naked Cherry Eyeshadow Palette Review + Swatches! Fluff and Fripperies - makeup, lifestyle, fashion and skincare! NEW ON COUNTER (MAY 2017): I've moved. See it, Love it, Swatch it. # 501 Kawaii Box Sweets + GIVE AWAY ~ enter below!! HELLO EAT THIS BURN THAT! Don't they know who I am? 2014 Best in Beauty | Part 2: Hair. Sephora Haul - Laura Mercier, Tarte, Nars + Zoya!